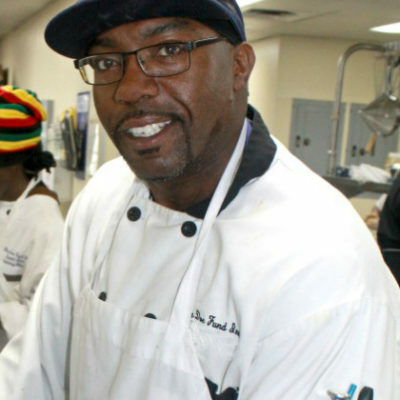 Dishes by Doe | Rasheem H.
After 17 years in prison, Rasheem was ready for a very different kind of life. He came to The Doe Fund’s Culinary Arts program determined to be responsible, have a purpose in life, and develop a work ethic. Rasheem remembers one of his favorite moments as a trainee: The Doe Fund’s annual holiday party. He recalls that the staff made him feel welcome, supported, and as if he had a second chance in life to redeem himself. The food, atmosphere and bonds that were built reminded him of the same connection he had as a child during the holiday season with family and friends. After graduating from the program, he became a staff member at our Bushwick facility where he offers guidance and support to trainees as they cope with struggles he can relate to so well. Rasheem knows he is now part of their solution to a better life.